I am very happy to return to do wedding photographs in Gibraltar, to do such a original weddings in Gibraltar. This beautiful couple wanted their day to be something special and personal to them. It was a simple wedding located in the botanical gardens. I feel very lucky that the couple appreciate my photography and wanted me to tell their story. I would like to mention how much I enjoy spending time with a couple who have such sensitive personalities. There is an obvious contrast between a wedding with a large budget and such attention to detail than a low key wedding in a garden, beach or forrest. However in my opinion they are equally as magical. This particular celebration was especially magical as the bride was pregnant! 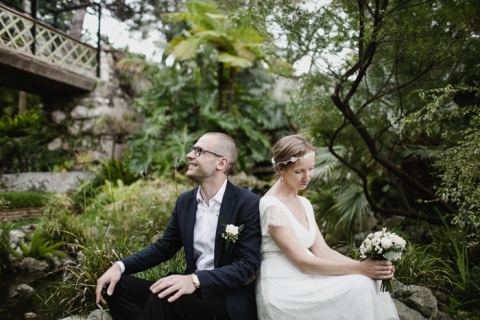 I hope you like these pictures of Aija and Harijs, located in the Botanical Gardens of Gibraltar. I would like to show my gratitude to such a special couple, I spent a beautiful day with them. I wish you all the best. The Botanical Gardens is such a wonderful place where many couples choose to have their wedding, I am always delighted at the opportunity to return there.